Born and raised in northern Maine, Mr. Lamarre attended the University of Maine, where he graduated with a B.A. in Zoology. While at Maine, at the urging of friends, he tried out for the volleyball team and earned a spot on the squad. This would turn out to be a life-changing decision, as the sport of volleyball would play a major role in much of his life. He would go on to organize, coach, and referee the sport at all levels. 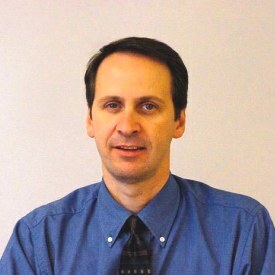 In 1989, Mr. Lamarre decided to further his education, and attended UCLA, where he earned an M.S. in kinesiology with an emphasis on sports psychology. It was at UCLA that he discovered his love for teaching while serving as a teaching assistant and lab instructor for a kinesiology course. Shortly thereafter, Mr. Lamarre joined the Immaculate Heart High School staff as a teacher and then accepted a similar position at Crespi Carmelite High School a year later. He taught at Crespi for ten years serving as the Science Department Chair for seven years. In 1999, Mr. Lamarre earned the prestigious H. Dudley Wright Fellowship for Innovative Science Education and spent a year at Tufts University in Massachusetts furthering his education. For the last eight years, he has worked at Central City Value High School, which promotes values in education. He retired from coaching five years ago after a career that featured some of his teams winning state and national championships. He and his wife Traci reside in the Conejo Valley. My decision to serve on the Board of the Lucille Rader Education Foundation was one of the easiest I have ever made. I am truly indebted to Mrs. Rader for all that she has done for me. Ever since I met her while we served on the same staff at Immaculate Heart High School, she has served as a role model and advisor for me. She has been relentless in her praise and encouragement of my teaching and volleyball coaching careers, and the dedication and energy that she has directed at her own teaching career is simply unparalleled. She continues to be a close friend, a trusted confidante, and a source of inspiration. I am truly honored that she asked me to serve on the board.